← How to Seal a Gusseted Bag? 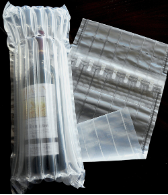 This entry was posted in NEW PRODUCT, New Products and tagged aircolumn packaging, inflatable packaging, new products, Other Packaging Ideas, toner cartridge packaging, wine bottle packaging. Bookmark the permalink.